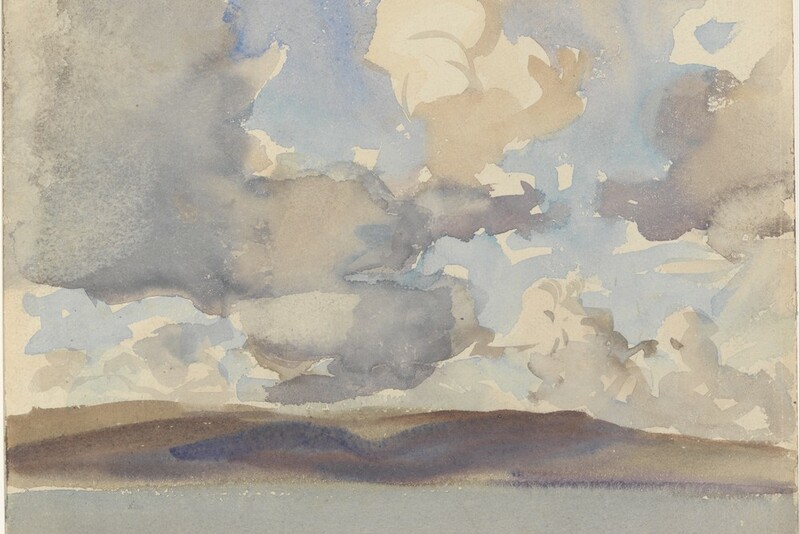 Clouds by John Singer Sargent, watercolor on paper, 1897. Courtesy of the Metropolitan Museum of Art. against the windows of the hospital. of shifting grays, topography and sound. our memories all circle through like birds. in fog, the afterimages of fires. Matt Sumpter is the author of Public Land and Assistant Director of the Writing Program at Rutgers University, where he coordinates the Livingston Writing Center. He is also the winner of the 2017 Zócalo Public Square Poetry Prize.